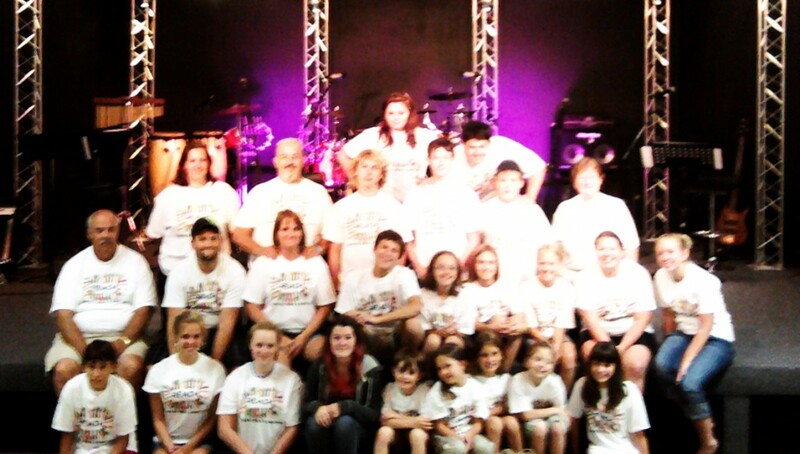 Harvest Church hosted there first anual kids camp this month. 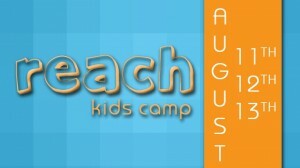 The camp took place August 11-13. At this camp, the kids were involved in devotions, putt-putt, skating, swimming, worshipping, praying, and listening to biblical teachings. Satan tried so hard to prevent this event from taking plan, but God had great plans for this camp and was determined to make things happen! That is how great and mighty our God is! 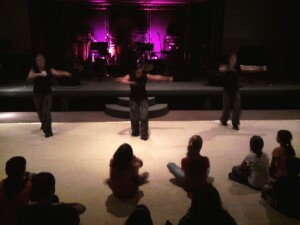 The kids actively prayed for God to do great works. They believed with faith that God heard their cries and that He would answer their prayers! 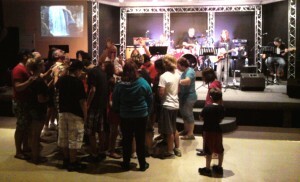 The kids sang songs like “Deep Cries Out”, “Praises”, “You Are Good”, and “How He Loves” as they worshipped the Lord. 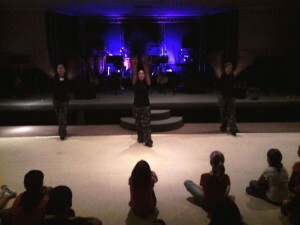 It was a joy to see young kids sing, lift up their hands, and dance before the Lord. 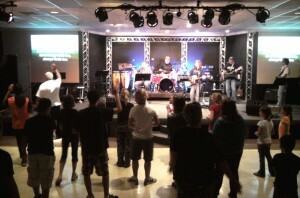 God is raising up a generation of unashamed worshippers! On Thursday and Friday night, the kids observed a dance synced to music. The leaders had a chance to pray over the kids. It was a great time with the Lord! 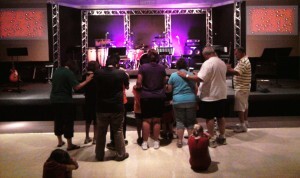 Not only did the leaders pray for the kids, but the kids prayed for other kids and the leaders. 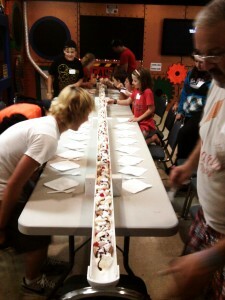 In addition to all of this, the leaders made the kids a 20 ft. long banana split. And, on Friday night they had a camp fire and had a lock-in. How Does Parachuting and Salvation Relate? Posted on July 14, 2011 July 14, 2011 Categories DevotionalsTags Christian, God, Jesus, life, Salvation, videoLeave a comment on How Does Parachuting and Salvation Relate? If you would like to follow Jesus and have a relationship with Him, please contact me. The Grace Card is an amazing movie that proves that forgiveness is where the healing truly begins. Go see this movie, and it will teach you a lot about the situations that we face in life! I promise to pray for you every day, ask your forgiveness, grant you the same, and be your friend always. In our daily lives, we go through so much pain and struggle. Through trials and tribulation, we forget how important we are to God, and we forget how much God loves us. We put on the weight of the world more and more each day. We let the what others say and think about us define who we are. We neglect to remember who we realy are–who God MADE us to be. REMEMBER: You ARE God’s original masterpeice. This kid really know the truth! I have been talking with my friend Jesse through a few Facebook posts about Jude 1:4. It talks about people in our churches, even today, that twist the Word of God. They change the truth to make themselves and others feel better. Jesse states in his blog post that “people in the Church who are using Christ as a get out of hell free card, not as Lord and Savior”. I fully agree with him. People try to work there way into heaven, pray their way into heaven, preach their way into heaven, tithe their way into heaven…. 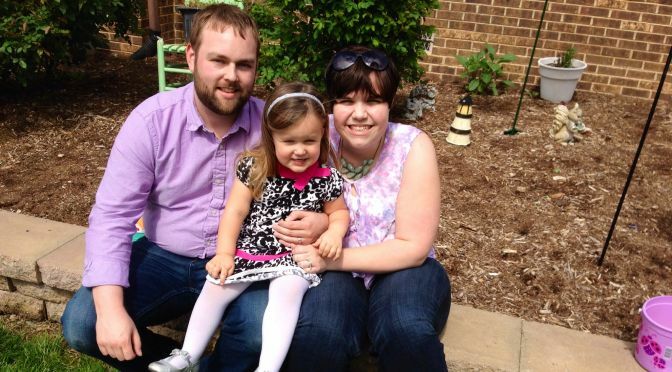 In the video below, Nate Pfeil elaborates on this point. It is do amazing how fast our world is advancing in technology! As our world quickly advances, the time for Jesus’ return draws nearer. Jesus told us in Revelation 22:12-13, “Behold, I am coming quickly, and My reward is with Me, to give to every one according to his work. I am the Alpha and the Omega, the Beginning and the End, the First and the Last.” Christ is coming to gather those that have surrenderd their lives to Him. He will give unto those the gift of eternal life and a new home on high in Heaven. O’ Lord how I want to be in that number! Those that believe in Christ Jesus will be rewarded for the works they have done. Posted on December 27, 2009 December 26, 2009 Categories Devotionals, VideosTags God, Jesus, life, Salvation, Technology, videoLeave a comment on Did You Know? As you may know, it is getting close to Thanksgiving Day. What are you thankful for? I am thankful for Jesus dying to save me, for a God that love me enough to send His only begotten Son, Jesus raising from the Dead, the comfort that the Holy Spirit gives, my fiancee, my family, my church, my pastor, a healthy strong immune system, the privilege to have a variety of food to eat, potable water (clean drinking water), life itself, salvation, my grandparents that took me to church when I was young, the blessing of an automobile that runs, a job, ability to go to college, the blessing of having a copy of God’s Word to study and to live by, people that are pro-life and support the right to life for babies in the womb, my friends, the talents that the Lord has given me, to live in a free country, … and the list goes on and on. We have so many things to be thankful for everyday. Do not forget that. What are you thankful for this Thanksgiving season? Happy Thanksgiving to all. God Bless!